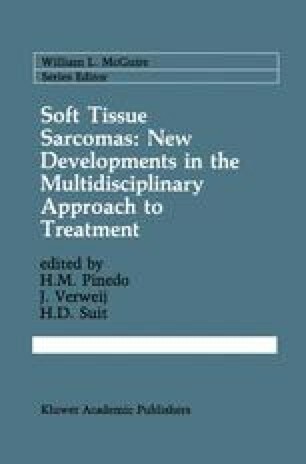 Soft tissue sarcomas are relatively rare tumors. Each year in the U.S., there are approximately 5,500 new cases and 2,900 deaths attributed to these tumors [1,2]. Approximately 60% of these tumors develop in the extremities.